What's The Best Way To Play Pokemon Let's Go? With Pokémon Let’s Go finally out for the Nintendo Switch, many Pokémon fans are busily sinking their teeth into the series’ attempt at melding classic, Pokémon Yellow-style gameplay with the global phenomenon, Pokémon GO. As is the norm with the series, there are two versions of the game available to buy in the form of Pokémon Let’s Go Pikachu and Pokémon Let’s Go Eevee. As usual, the critical difference between the two is that certain Pokémon will be available to catch in the wild only in one or the other, encouraging trading between owners of either game. 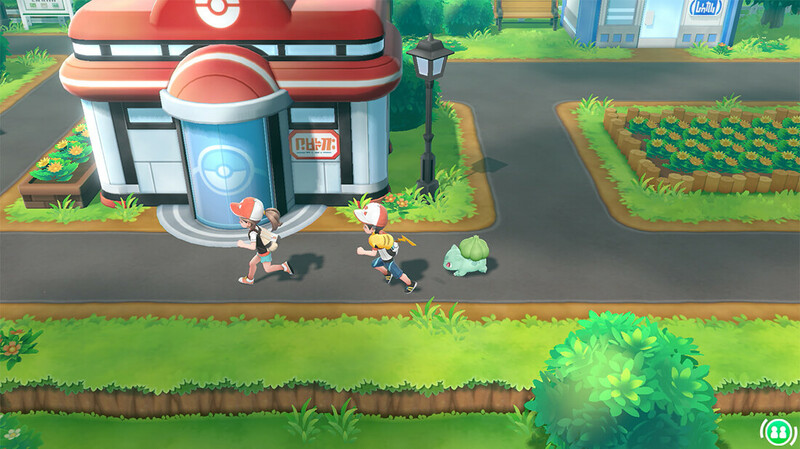 This time around though, there’s also one other thing to consider when buying the latest Pokémon game: to Poké Ball Plus, or not to Poké Ball Plus? If you’re a switch owner who plays their console predominantly on TV, this is most likely how you’ll be playing Let’s Go. 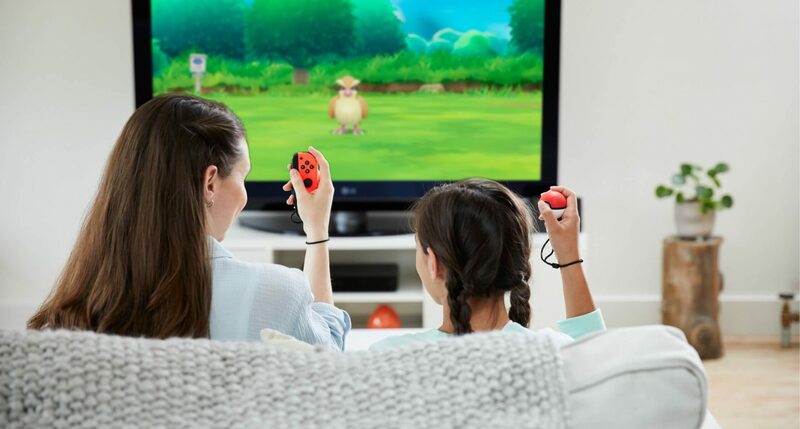 Without a Poké Ball Plus controller, the only way to play the game is with a single Joy-Con (though you can use a second for drop-in-drop-out cooperative play). The Joy-Con is held vertically, using the analog stick and face buttons much like traditional controls in the field and in battle. When catching Pokémon though, motion controls kick in and are mandatory. Much like Pokémon GO on mobile, catching Pokémon simply involves throwing Poké Balls at them with precise aim and timing in order to increase your chances of success. To do so, you’ll need to physically swing your Joy-Con, paying attention to the direction, strength and timing of your swing. Catching Pokémon in this way feels alright, and using just one Joy-Con in one hand for everything else is actually a surprisingly comfortable way to play. Some players might take issue with being forced to play with motion controls though, and perhaps lament the lack of horizontal/dual Joy-Con support considering the controls could easily have been mapped to those and still allow for the use of motion. Not to mention this method will likely exclude those with disabilities that might prevent them from swinging the controller. Even some kind of halfway solution like a gyro-based pointer might have made a huge difference. The single alternative to using a Joy-Con controller in Pokémon Let’s Go is to purchase the Poké Ball Plus, a $69.95AUD peripheral that is essentially a Joy-Con controller with all the same motion control capabilities disguised as a Poké Ball. 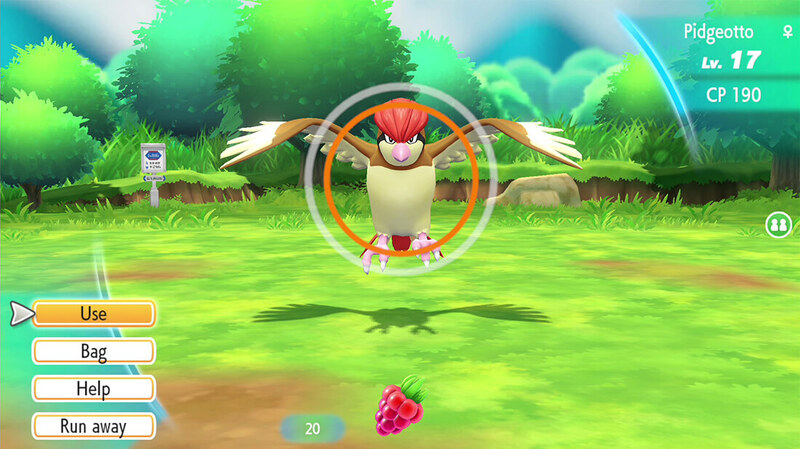 Catching Pokémon with the Poké Ball Plus works in much the same way, using motion control, with the primary advantage being that it feels way cooler to simulate throwing a Poké Ball at the screen than swinging a regular controller around. As fun as it is to catch with, the Poké Ball Plus falters a little when it comes to field/battle gameplay. In terms of inputs, it’s got a combined analog stick/button on the front, one other button on top, and that’s it. While Let’s Go is simple enough that the basics can be achieved with just movement, action and back buttons, there are a multitude of important functions that would otherwise be mapped to a third button. To use these, you’ll have to physically shake the Poké Ball Plus. Not a big deal, but a weird concession to be made nonetheless. The more annoying problem is the general fiddly-ness of the analog stick/nub/thing. It’s not overly responsive to begin with, and keeping it in place while clicking it in can be cumbersome, which is a problem when that’s mapped as the action/confirm button. Of course, you get all sorts of other benefits from picking up the Poké Ball Plus with your copy of Let’s Go. You can store a Pokémon from the game in it and train that Pokémon by walking around with it on your person, it even lights up and makes the sounds of the Pokémon inside when shaken. It can also be used as a stand-in for the Plus controller for Pokémon GO. You’ll also score a free Mew in the game for buying it, which is sure to sway a lot of people. If you prefer to play your Switch on the go, or just on the couch/bed at home, you can get that classic handheld Pokémon field in Let’s Go. Playing in handheld mode is the only way to get a more tradition control set up in field/battle gameplay, using both Joy-Cons attached to the sides. As unique and interesting as the other control methods are, there’s something inherently right about using good ol’ fashioned two-handed controls. It begs the question too, as to why there isn’t an option for two-handed Joy-Con play in TV/tabletop. When it comes time to catch some ‘mons, gyroscope controls still come into play but aren’t mandatory! While you can opt move the Switch around to aim before pressing a button to throw the Poké Ball, it’s also entirely possible to just use the analog stick to aim. Why isn’t this an option elsewhere? Honestly, as nice as it is to see your team of Pokémon duke it out on the big screen, handheld still feels like the right way to play the game, if only because it’s so heavily inspired by the mainline handheld games. Add to that the much friendlier control options and it’s a pretty clear winner. That extra purchase of a Poké Ball Plus doesn’t necessarily go to waste either, because you’ll still get Mew and all the benefits of walking with it and/or using it for Pokémon GO. Weird that there’s no GO-style touch/swipe controls for catching, though. Pokémon Let’s Go… on the go! No matter how you play though, there’s no denying that Pokémon Let’s Go is a treat for both diehard fans and newcomers. Thanks to some unfortunate delays I’m still hard at work on my review, but hopefully this helps clear up any confusion about how Let’s Go works!